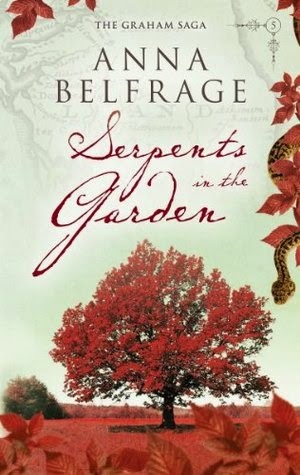 Serpents in the Garden is the fifth book in Anna Belfrage’s time slip series featuring time traveler Alexandra Lind and her seventeenth century husband, Matthew Graham. This is book 5 in the Graham Saga. Having gotten to know the family in books 3 and 4 sitting down with Serpent in the Garden was like getting together with old friends and catching up on their lives. Even though I began this series with book 3 my enjoyment of this series was not hampered at all (books 1 & 2 are patiently waiting for me). In the past I have read series that seem to just go on and on with the material stretched and situations getting unbelievable and yea even ridiculous. 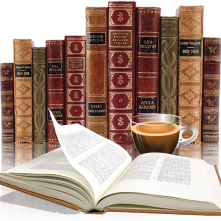 It's a heavy burden for authors that write series, to keep the story from getting boring and outlandish. Which is totally not the case here. Anna Belfrage has written a book that had me captivated from the start, the story lines were original, fitting the time period and environment accurately. The author has made me full in love with Alex, Matthew and their family, they are real and genuine. I loved the fact that there were no wasted words or fullers in this book. You know the words that just seem to take up space with no real relevance to the flow of the book and at times you might even skim over. None of that in this book, everything flowed together perfectly and at the right speed, right to the end. Oh and that very last paragraph, yea I can't wait till Retribution comes in August.